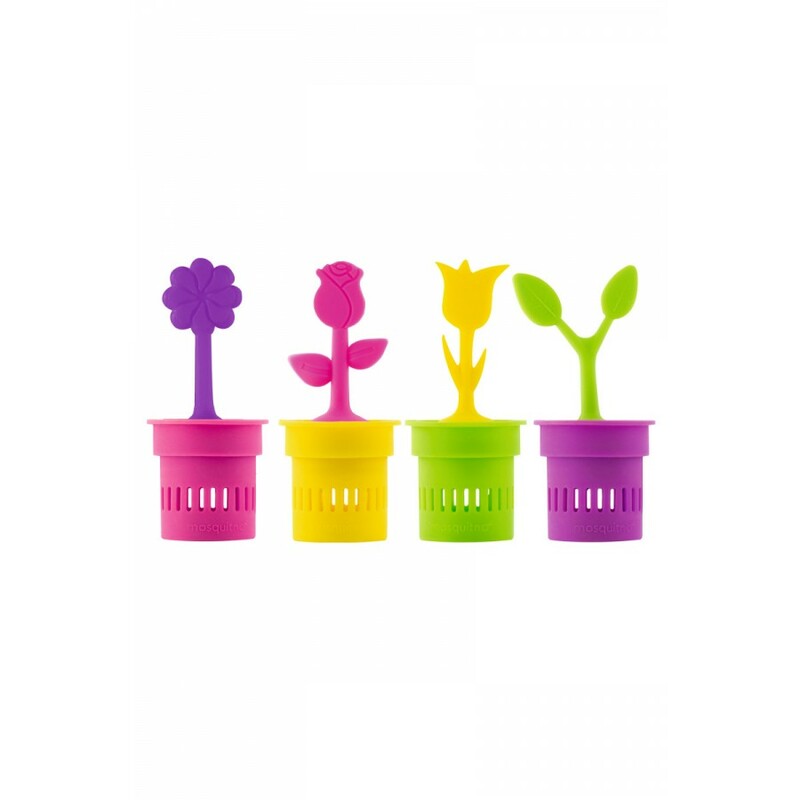 Nice flowerpot for your outdoor table! Each flowerpot contains 4 squares of gom, one square gradually evaporates a citronella odor for at least 2 months! 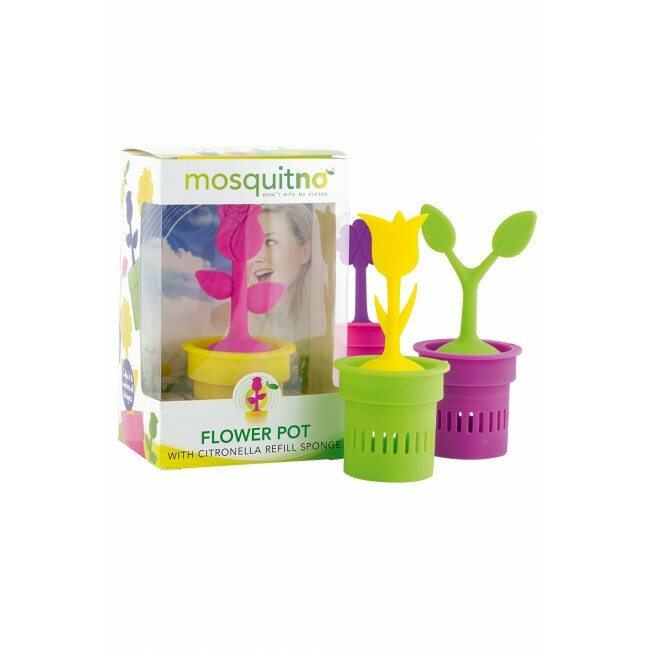 The MosquitNo Flower Pot is a great replacement for the citronella candle. 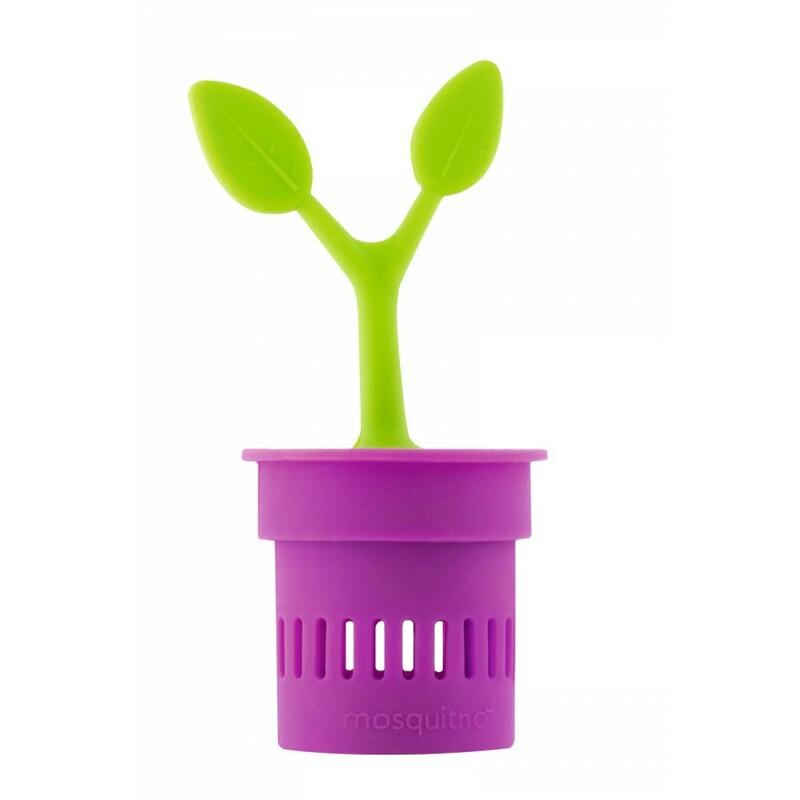 The MosquitNo Trendy Flower Pot can be used indoor and outdoor. 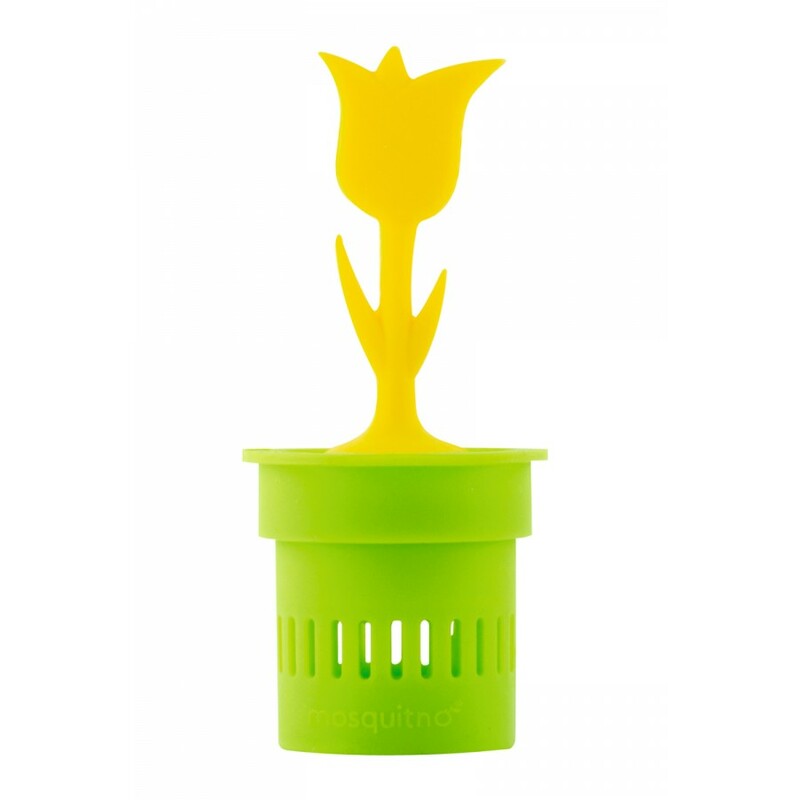 Use the flower pot during your holidays, at outdoor dinners, at the balcony or in your bed room. 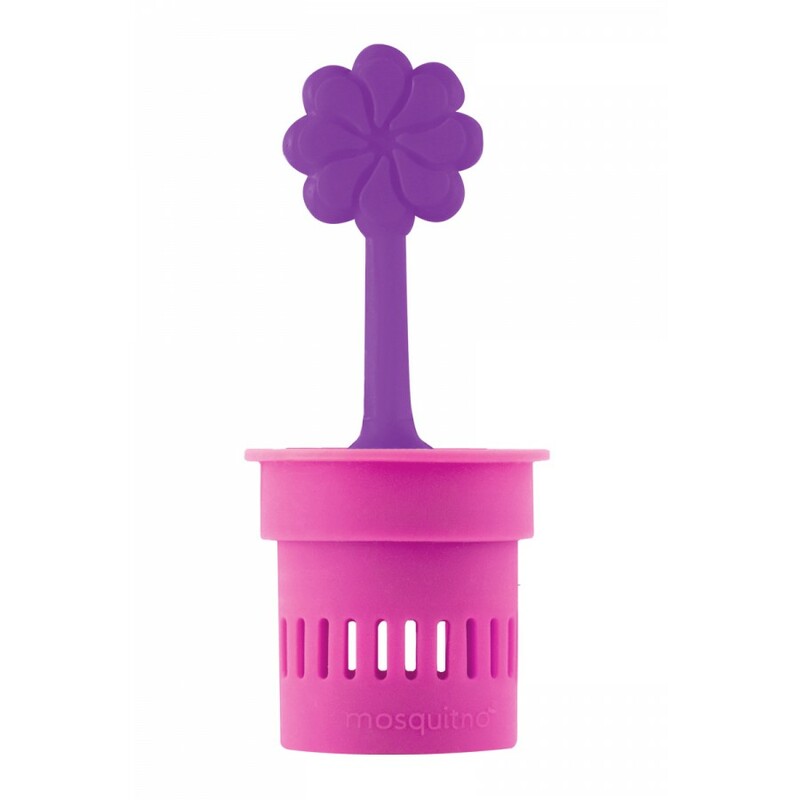 The flowerpot are a nice accessory on your childs' nightstand, or on the BBQ table outside. 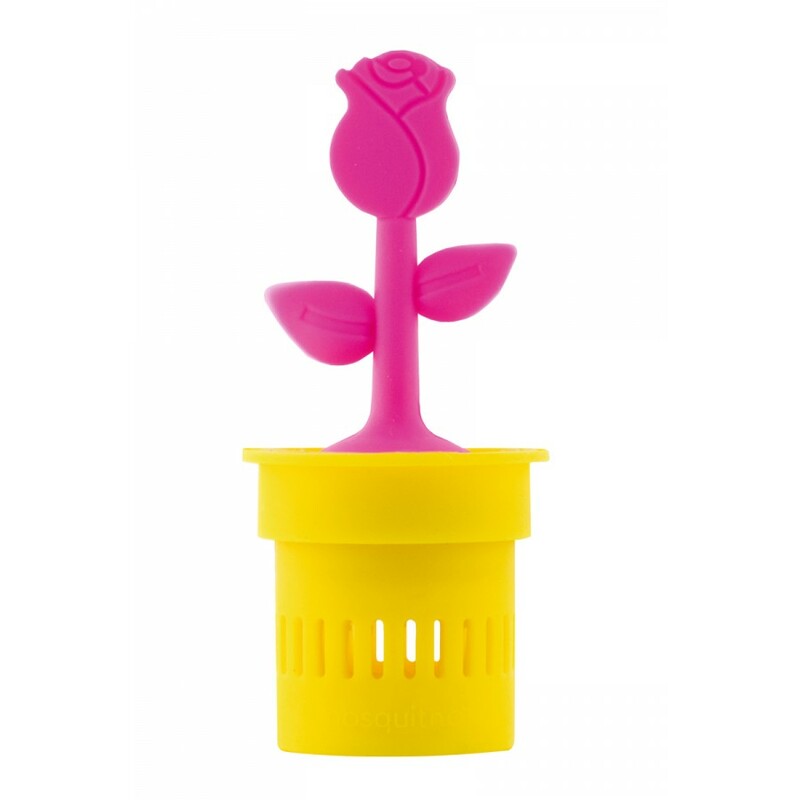 There are 4 different trendy designs and colours. All colors can be combined, so feel free to do so! • Available in 4 different designs. • Will work for 2 months. 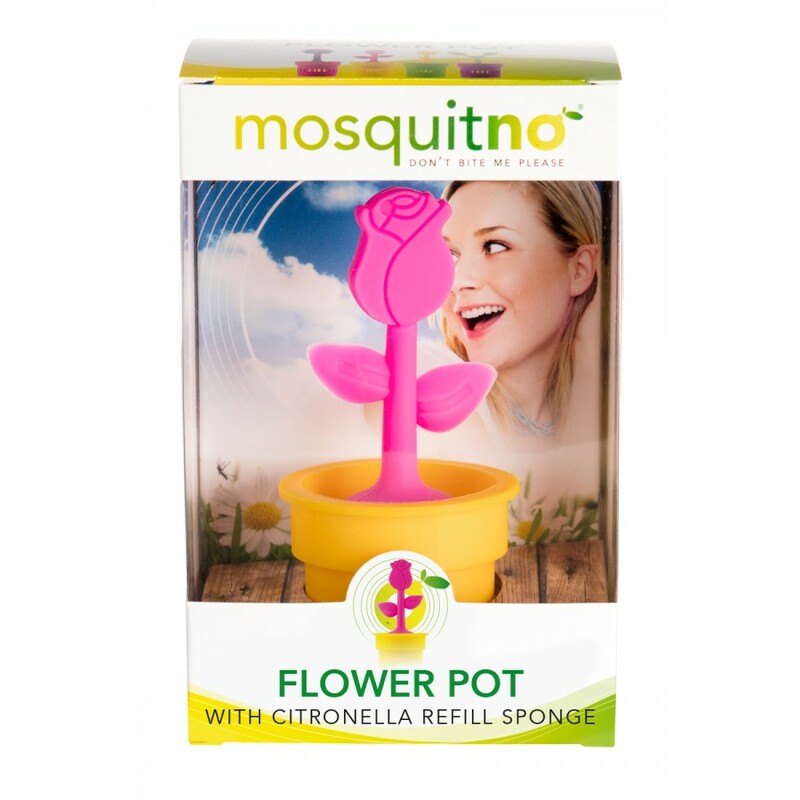 INGREDIENTS: Citronella®, Crude rubber (65%). Zinc Iron Oxide, Zinc Oxide, Iron Oxide, Ultramarine Blue, Calcium Carbonate, Zinc Stearate and Sulfur (10%). Color dye (10%).